Many people are asking if they have a thyroid problem. Their hair is falling out, they suddenly become sensitive to certain foods, they always have cold hands or they have gained weight without any apparent reason. 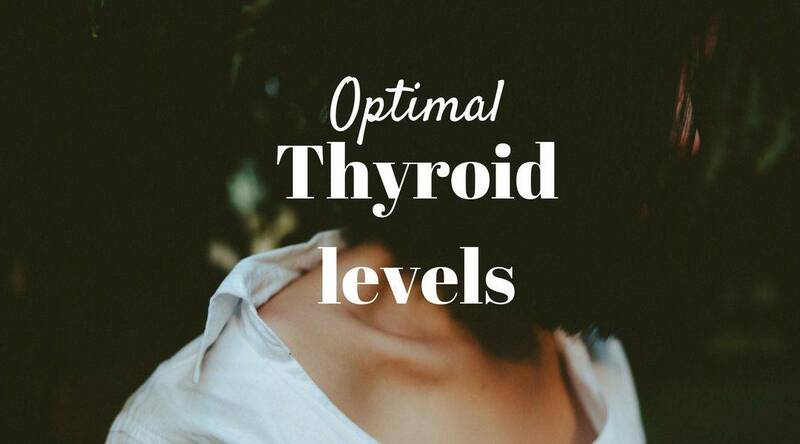 There are “normal lab values” for blood tests results, but there are also “optimal” ranges which actually tell you far more about your thyroid. 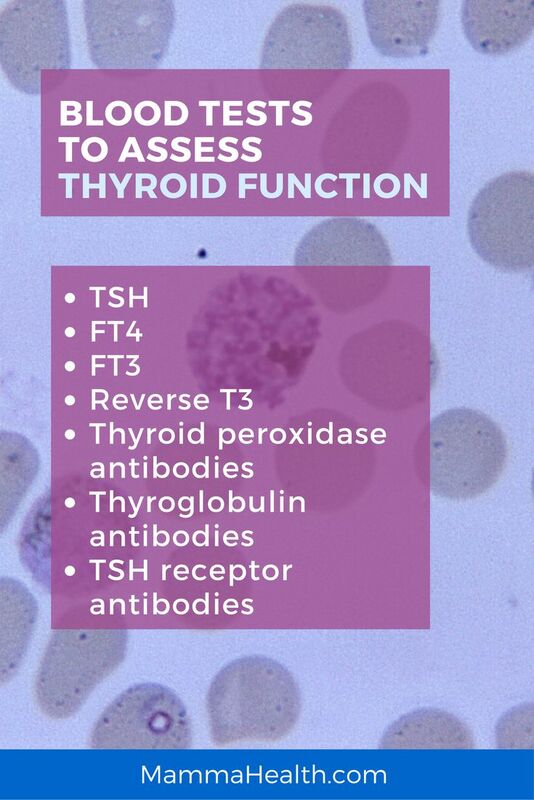 My basic thyroid levels (TSH, T3, T4) have always been in the “NORMAL” range. However, when I was sick, they were not in the “OPTIMAL” ranges. 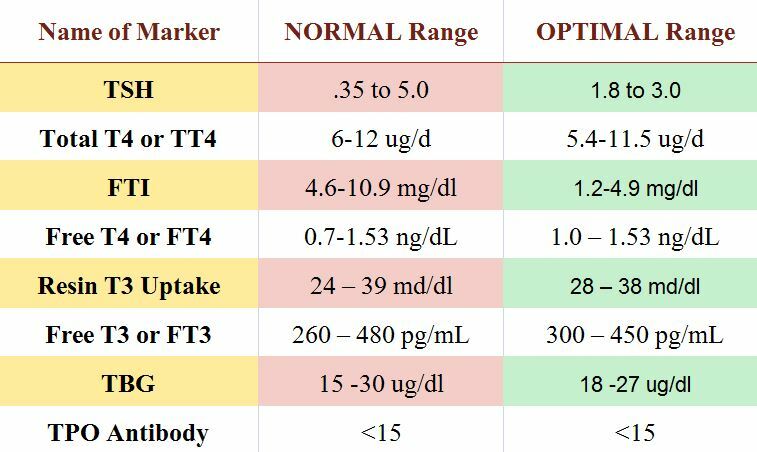 Below is a list of functional/optimal ranges for thyroid markers. If your results are outside these levels, you should definitely start treating your thyroid levels. so you can start feeling better. I have written about my recommendations for a good endocrinologist in my other post. Some of the medical practitioners are now becoming more attentive to the limits in thyroid testing. They are aware of the patterns of thyroid symptoms of patients with results in the normal range. But for many people, it still takes a lot of energy to be taken seriously by their doctors. As you can see in the above table, there is a notable difference between the “normal” and “optimal” ranges. Maybe your doctor relies on the old conservative values and claims that your thyroid is working properly. The question is – If my thyroid test results are normal, why do I still feel symptoms of hypothyroidism? Are you pregnant? Read the article and chart of thyroid levels during pregnancy. Chart of normal thyroid TSH levels during first, second and third trimester of pregnancy. The normal range of TSH levels is 0.35 to 5.0 mIU/Liter. For patients who are already being treated for a thyroid disorder, the normal range becomes 0.5 to 3.0 mIU/Liter. The value over the normal number much probably means that the thyroid is underactive. That is the sign of hypothyroidism. Millions of people deal with mysterious symptoms that seemingly appear out of nowhere: sudden weight gain, cold hands, hot flashes, hair loss, fatigue, brain fog or depression. They may be living with an undetected thyroid condition. Source: Over 13 Million Americans with Thyroid Disease Remain Undiagnosed. It is not possible to diagnose thyroid disorders without full investigation done by the doctor. What if your doctor’s opinion relies on TSH alone or maybe a combination of TSH with T4? The critical pieces of the puzzle are missing. For many thyroid sufferers, their bodies don’t convert T4 to T3 properly. In this case, the doctors who only test for TSH / T4, the symptoms do not improve in the best case scenario. It pays to find a doctor who is open to do full thyroid tests and who is willing to be open to discuss the difference between normal and optimal thyroid numbers. The thing is, that you might have normal thyroid test results but still suffering from symptoms of hypothyroidism. The problem is that often times doctors REFUSE to run these tests. If your doctor is simply unwilling to do these seven tests, I urge you to seek a second medical opinion. Have you been currently tested for thyroid symptoms and the results came back normal – as healthy thyroid levels? You, unfortunately, could still have an over- or underactive thyroid and not know it. If you live in the United States, Canada or Europe, you can order the complete Thyroid panel yourself. It is certainly an eye-opening reality for many people who has been misdiagnosed for a long time. There is another potential source of thyroid- and other auto-immune diseases to be considered: Epstein-Barr virus (EBV). EBV can live in a human body completely unnoticed apart from the scratchy throat and occasional tiredness. Then in the later stages, the virus becomes highly active destructive. This is when it takes up residence in the thyroid. If you are interested, you can read more here. What supplements help thyroid function? It is surprising to know that it takes at minimum 11 different nutrients for the thyroid to work properly. In case you are deficient in any of them, replacing these quality supplements you may be able to improve the functioning of your thyroid. Iodine: Necessary for the synthesis of thyroid hormone. However, the iodine intake must be reduced if you were diagnosed with Hashimoto’s. Tyrosine: Necessary for improving thyroid hormone production. Vitamin D: The common issue in Thyroid patients is the deficiency in Vitamin D.
Vitamin E: The thyroid gland secretes too much hormone when low on Vitamin E.
Vitamin B2: Known also as Riboflavin. The lack of it suppresses thyroid function. Vitamin B3: Necessary to keep the endocrine glands in efficient working order. Vitamin B6: The thyroid cannot utilize the iodine raw material efficiently to make the hormones. Vitamin C: Long-lasting deficiency causes the thyroid gland to flood the system with too much hormone. A deficiency in ANY of the above nutrients may lead to limited thyroid function. However, not all supplements are created equal. Everyone out there is saying to have the best product. I urge you to do a proper research and to talk to your doctor before you make any decision. I can only recommend you these three supplements that worked out for me, but everyone is different. Please do your due diligence! A non-GMO dietary supplement that supports healthy Thyroid function and metabolism. It combines Iodine with free-form L-Tyrosine together with Vitamins B-6 and B-12, selenium, and copper. Also contains natural Ashwagandha and Guggul – extracts that may have a positive effect on the endocrinal system. 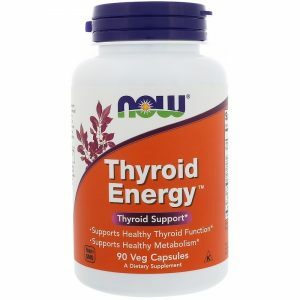 Thyroid Energy is a very balanced product and many people swear by relief from hypothyroidism when taking it. I take it on regular basis. It makes me feel a lot more energized and healthy. It is also very affordable when bought from iHerb. 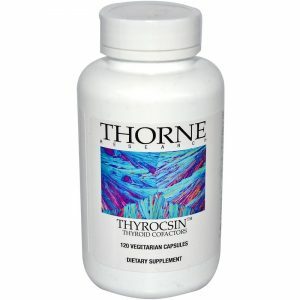 Thyrocsin provides supportive nutrients for a healthy thyroid gland. It also contains the necessary nutrients that support proper functioning of thyroid. What I like the most is that Thyrocsin is very gentle on my stomach. I feel absolutely no side effects while taking it. Sometimes I feel a little bloated after taking Thyroid Energy, but I am fine when I alternate it with Thyrocsin. I also order it from iHerb. 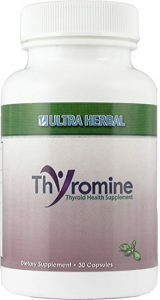 Thyromine is the most expensive product of the three I use on regular basis. It contains the Adrenal powder from bovine. 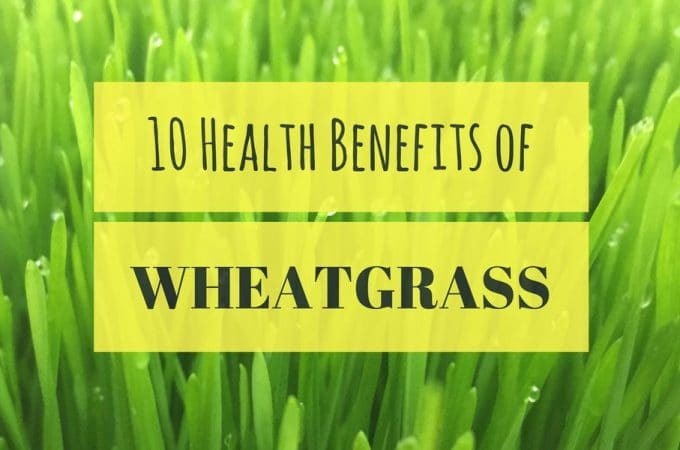 It is incredibly helpful for low adrenal functions, stress, allergies, some skin conditions, fatigue, weak immune system, and some more conditions. The other ingredients of Thyromine are L-Tyrosine, Guggal tree extract, Nori seaweed and Piper Longum extract – commonly known as long pepper, used in Ayurvedic medicine. Why are T4 and T3 levels important? Thyroxine (T4) and Triiodothyronine (T3). Thyroid cells are the only cells in the body which can absorb iodine. These cells combine iodine and the amino acid tyrosine to make T3 and T4. T3 and T4 are then released into the bloodstream and are transported throughout the body where they control metabolism (conversion of oxygen and calories to energy). The whole human well-being is depended on thyroid hormones. The thyroid gland is the sole source of T4 and the source of only 10 to 20% of T3. The remaining 80 to 90% of T3 comes from conversion of T4 to T3 by organs such as the liver, kidneys, brain, and skin. In other words, the body itself breaks down T4 to produce the amount of T3 it needs.When a patient begins to take levothyroxine, the level of T4 rises and becomes stable over a five-week period. From then on, the level of T4 in the blood changes very little after each pill—the level of T4 is slow to rise and slow to fall. On the other hand, when a patient regularly takes T3, the level of T3 in the blood tends to rise and fall rapidly over a period of hours after each pill. In addition, since T3 is much more potent than T4, a patient may experience symptoms of hyperthyroidism for several hours after taking a substantial dose of T3. Indeed, patients taking thyroid hormone preparations containing substantial amounts of T3 may prefer them to preparations containing only T4. 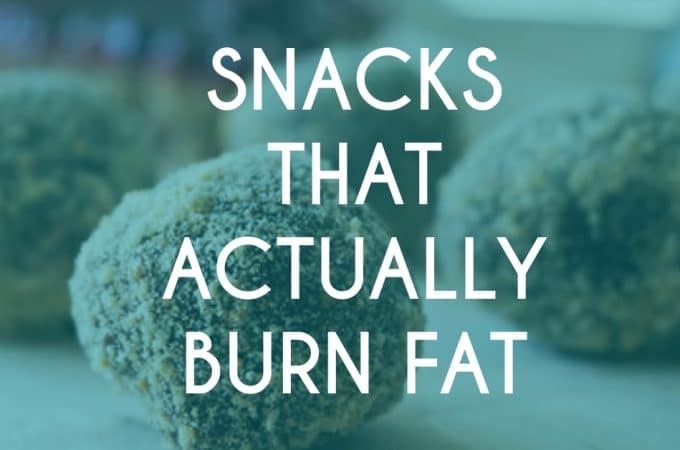 Their reasons vary, but many patients say that it is easier to maintain their weight and that they have more energy when they take this combination of thyroid hormones. However, these benefits may come at a price—patients are often hyperthyroid for several hours each day. Hyperthyroidism predisposes these patients to osteoporosis, heart rhythm disturbances, and, possibly, a shorter lifespan. Substituting one disease for another is not desirable. Commercially available thyroid hormone preparations made from animal thyroid glands invariably contain T3 and, as noted above, should not be used. Another reason to avoid these animal thyroid hormone preparations is the difficulty in preparing tablets that have exactly the same amount of thyroid hormones in each tablet. On the other hand, brand-name synthetic levothyroxine generally can be relied upon to have the stated amount of T4 in each tablet. I appreciate this post immensely! I have been struggling with my thyroid for two+ years but I now want to fix it finally. So this was very informative for me, thank you!! I can only agree with you that many doctors (even exprert endocrinologists) do not fully understand the problems we face. 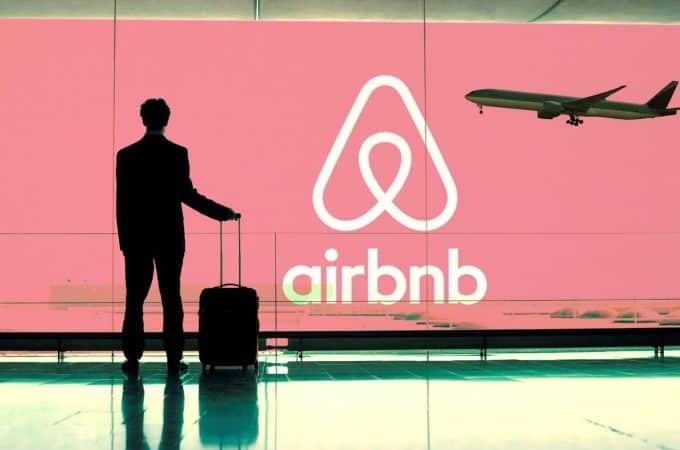 It certainly is good to come across excellent content like this. 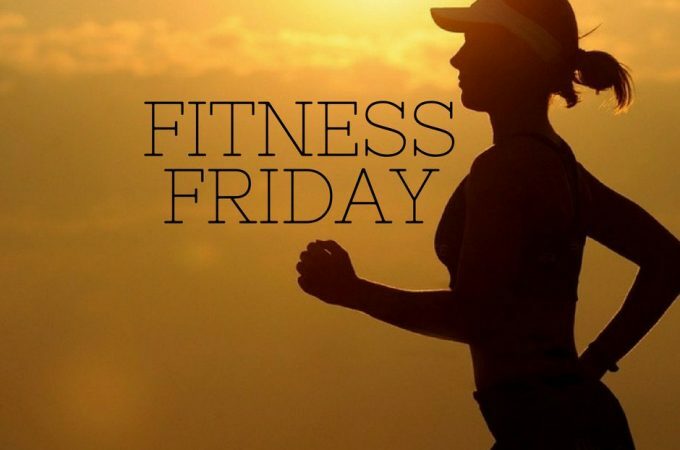 Speaking of excellent content, have a look at the web link in my post that explains to you how to lose excess weight according to your body type. 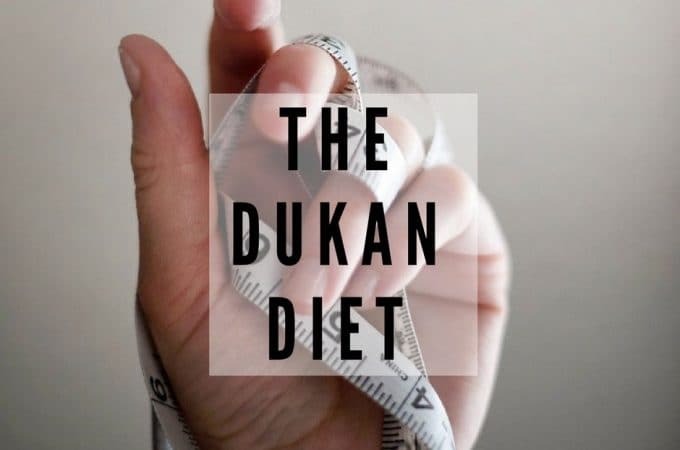 This diet works, trust me. Thak you and keep up your good work !